Mission: The Missouri Humanities Council enables families and communities to broaden their appreciation of history, literature, and the ideas that shape our democracy. Our programs bring the benefits of the Humanities to the general public. We achieve focus by concentrating on improving teaching and learning in key social institutions like the family, school, library, and museum. 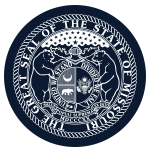 Function: The Missouri Humanities Council provides strategic and program planning, fiscal oversight, executive and program evaluation; and judges competitions for grants, awards, and services of limited scope. Location of meetings: St. Louis, Kansas City, Jefferson City, and one other location. Term length: Serves at the pleasure of the Governor, maximum of 8 years, and not more than three years beyond the term of the appointing governor.